Blackberries, soon to be blackberry cordial! Summer days in these mountains mean many wonderful things – fireflies blinking in the dusk, sweet little songbirds chirping, frogs croaking, and one of my favorites – blackberry picking! It has been a particularly rainy spring and summer and so even the often hard and sour wild blackberry brambles are covered in more deliciously sweet, fat berries than I’ve ever seen. Every season, I get a small bit o’berries from the wild bramble bushes in our yard, usually around a pint or two. I pick about 1/4 cup each evening and throw them into a large container that lives in the freezer. Once I have enough to work with, I can make something big! Besides my own yard, I know of some other places nearby where I can go and pick to my heart’s content and have enough for a gallon of wine or mead, or a few jars of jam. But now we are going to talk about my annual tradition of making blackberry cordial. Nummy vodka is just this easy! Like I’ve covered before, tinctures, elixirs, and cordials are easy to make! They are magic in a bottle, bringing a taste of sweet summertime to cold winter nights. A little bit of blackberry cordial in a cup of hot tea or cider can make a bedtime toddy extra special. your booze of choice – vodka, brandy, etc. 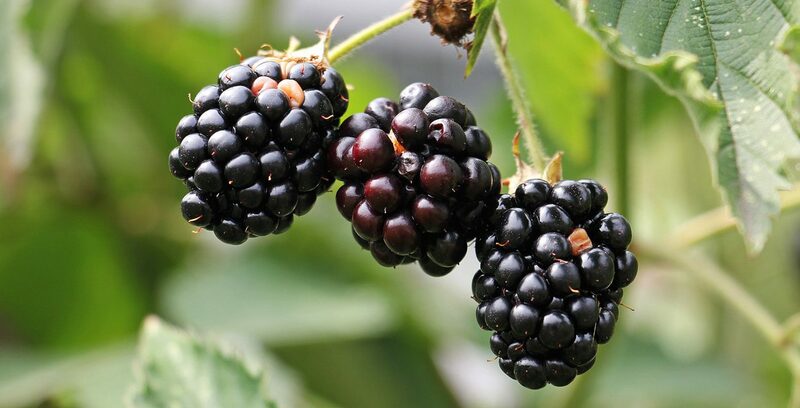 Take a clean jar and fill it with fresh blackberries. Use a wooden spoon and smash the berries to release their juices. Cover the smooshed berries with your choice of booze, close it up, and give it a shake. 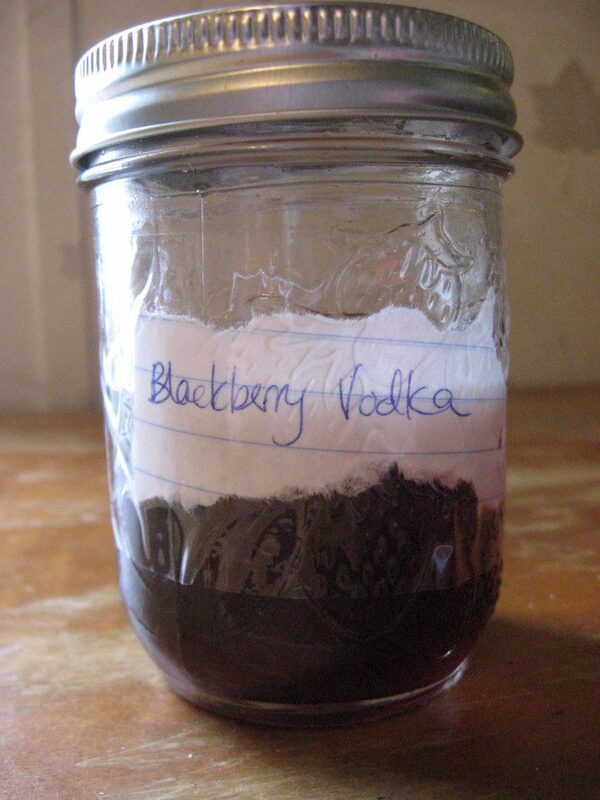 I usually use a good quality vodka, but brandy works well with blackberries, too. Close your jar, label it and put it aside for at least a month. After your wait, strain your booze! 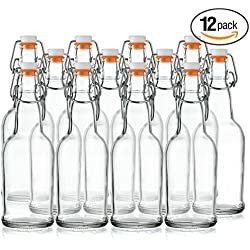 Clean and sanitize your bottle of choice. 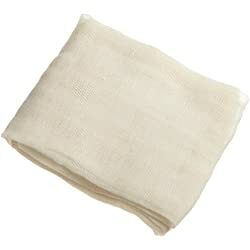 Use a funnel with a wire strainer and cheesecloth to strain out the berries and seeds. Quite similar to the one above, but this recipe includes sugar. Take a clean jar and add a handful of berries. Smash them up with a wooden spoon, and then cover them with a tablespoon of sugar. Repeat until the jar is about half full. Cover the jar and let it sit for about 30 minutes. The sugar will have released a great deal of juice from the berries. Cover the smooshed berries with your choice of booze, close it, and shake it until the sugar is dissolved. After a while, strain your booze! Clean and sanitize your bottle of choice. 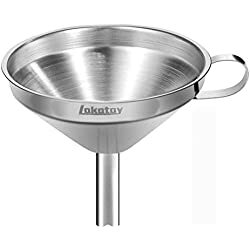 Use a funnel with a wire strainer and cheesecloth to strain out the berries and seeds. If you want to sweeten your vodka but don’t want to use sugar, try this simple syrup recipe. 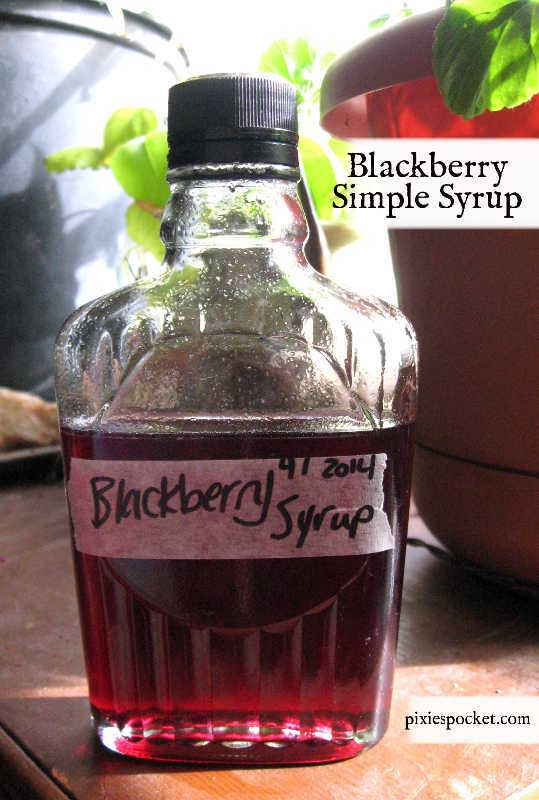 You can make a plain simple syrup or try this one if you have blackberries left over. Boil one cup of water with the berries. Let it simmer for a bit until all the berries have popped open and released their juice. Set the pan aside to cool long enough to safely strain out the berries. Return the liquid to the pot. Add a cup of sugar or honey. Stir until it is completely dissolved. Return it to heat and let it come to a boil for one minute. After that, turn to low and let it simmer for a few more minutes to allow it to reduce and become a syrup. Allow it to cool down a bit before funneling the syrup into a clean glass bottle with a tight-fitting lid. Label and date your syrup and store it in the fridge! How long will the Blackberry Cordial or the Simple Syrup last? Can either be canned? Hi, Connie! Good questions! Because of the booze content, I’ve had cordials that I sip from every now and then that are years old and never had any problems. I don’t store those in the fridge, either. Ha! Sorry that you had to learn that the hard way, but thank you for sharing your experience! Have you done anything on prickly pears. I have them on my farm producing literally hundred of them.